Based out of Montreal, Daniel Anaka runs and operates an online boutique called Atelier Anaka, which specializes in a particularly artistic and sculptural approach to lighting. It goes without saying that lighting is one of the most crucial and visible pieces of an interior design. No decorative composition is any good if it can’t be properly seen. The result is that design and placement often tends to work around the location, intensity, and colour of the luminaire. 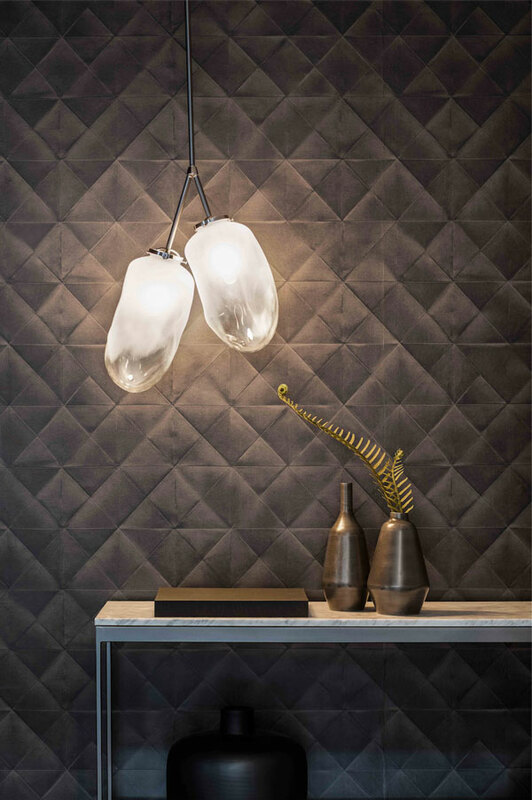 This is why Anaka focuses on accentuating the centrepiece quality that is inherent to lighting design. Atelier Anaka's pieces are quite diverse in form and concept, which is something that scored a lot of points with me personally! In my opinion, it's a common practice to begin creating a stylish product that sells, and then continue reproducing and reinventing that same model using a ‘why fix what isn’t broken?’ mentality. I’m not saying there’s anything wrong with that concept, but there’s something so heart-warming about a designers’ creative expression and experimentation, for nothing but its own sake! One of the pieces that caught my eye was the Florence.5. 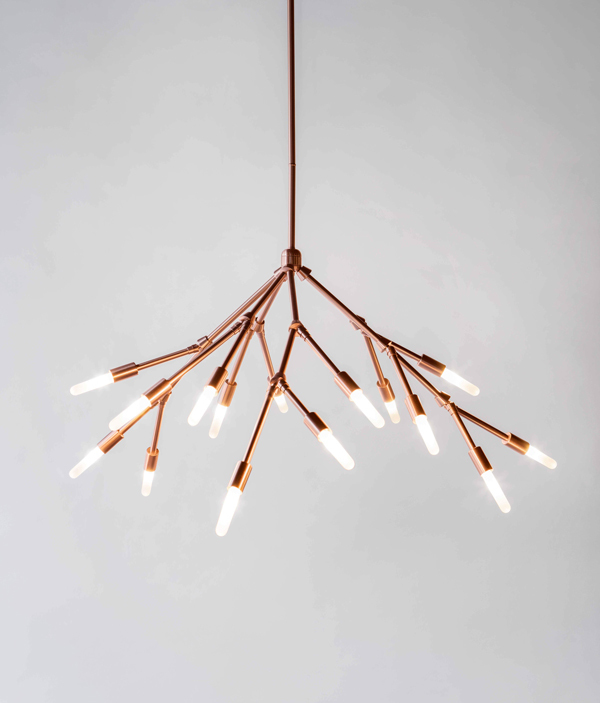 Inspired by natural forms of trees and branches, the Florence.5 offers a unique option to adjust the placement of every individual bulb, making for a completely one-of-a-kind luminaire. Since every item is custom-made for order, there’s also a wide selection of different colours, materials, bulb types, etc. 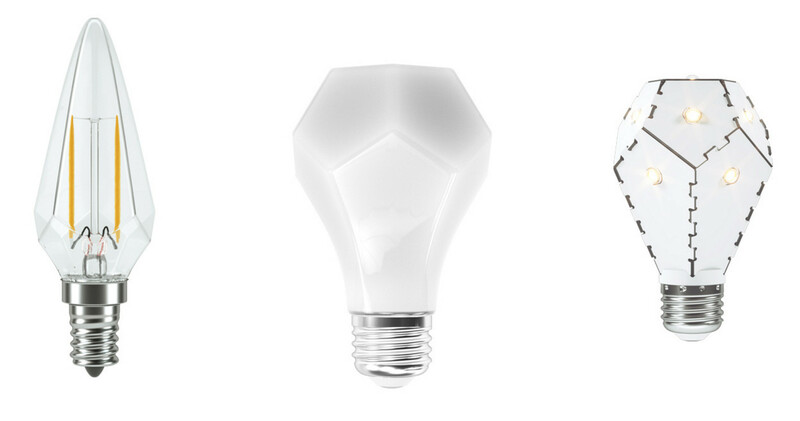 Anaka Atelier even offers its own line of unique bulbs, which match and compliment their other products. The Christine.1 is another testament to the unique sculptural quality of Anaka’s work. 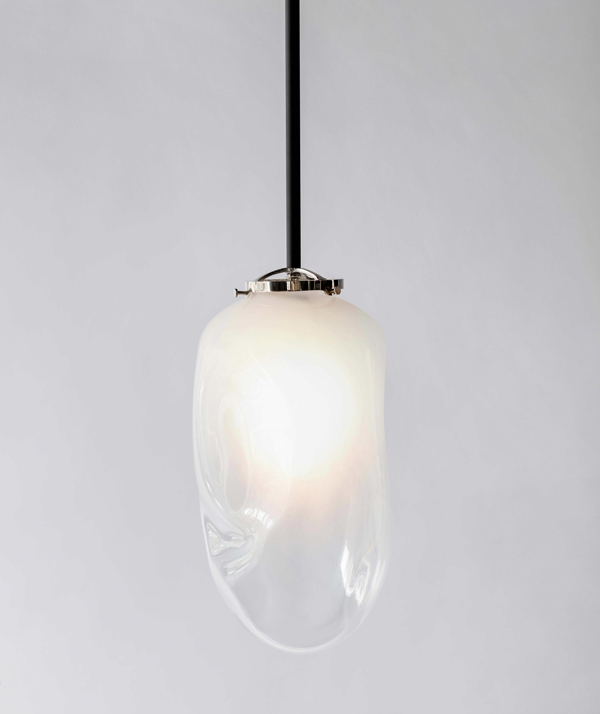 The piece presents itself as a lamp encased in a single piece of mouth-blown glass, which diffuses the light into a much softer and more soothing glow, and gives the piece its crystal-like appearance. The fact that it’s mouth-blown not only gives it value as a piece of true craftsmanship, but also makes for a totally unique form, free of mass-production. 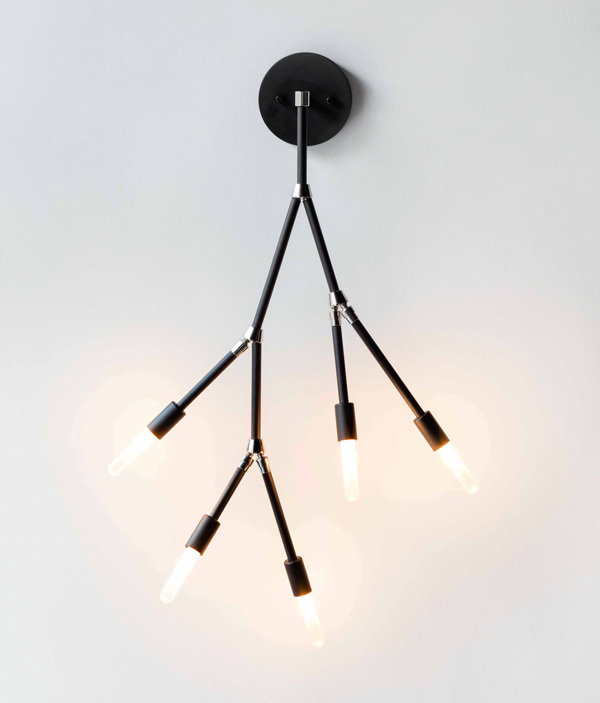 It also has a variation called Christine.2, which pairs two such fixtures into one. I’m thrilled to have come across such a fantastic design studio because I believe it shows when a designer truly cares about every detail of their craft, and it translates into the quality of their work. Photography courtesy of Anaka Atelier.